I got a “copyright strike” on my YouTube account over a video I posted over a year ago. I take this seriously, because YouTube could decide to cancel my account over this and deny me the ability to ever post videos there again. Interestingly, while YouTube removed the video from their site, I found that I could still view it embedded here! I’m glad I checked, because presumably this would still leave me open to claims of infringement. I therefore COMPLETELY REMOVED THE VIDEO FROM YOUTUBE. All this has given me a case of morning tsuris I didn’t need. I went through my YouTube channel yanking anything I felt may leave me open to other claims of infringment. So, no time for an original blog post today! Instead, enjoy this video (copyrighted by ME!) of my dog Lupita snorgling with her boyfriend Louis. 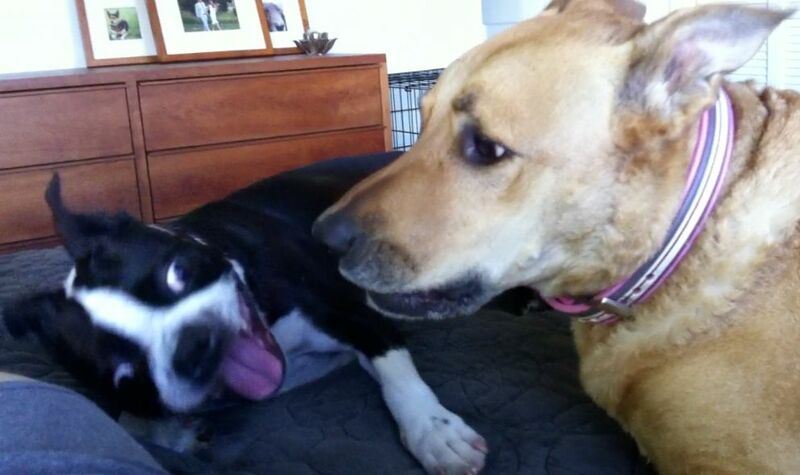 Lupita is the gorgeous golden mutt and Louis—or Woowis to his friends—is the Boston Terrier. In the video, you will also glimpse of my legs and my underwear, neither of which is copyrighted by anyone else, so far as I know.